Having difficulty finding somewhere to put your walking stick when using your walking frame? A walking Cane - holder is what you might be after. Fits around tubing of majority of walking sticks with a 25mm circumference. 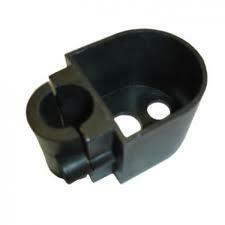 It attaches to either side of your frame and is very easy to use. 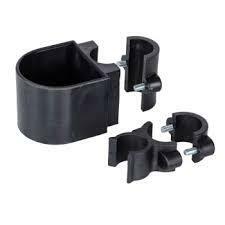 Simply place the base of the cane in the lower cup and snap the cane into the top clip. 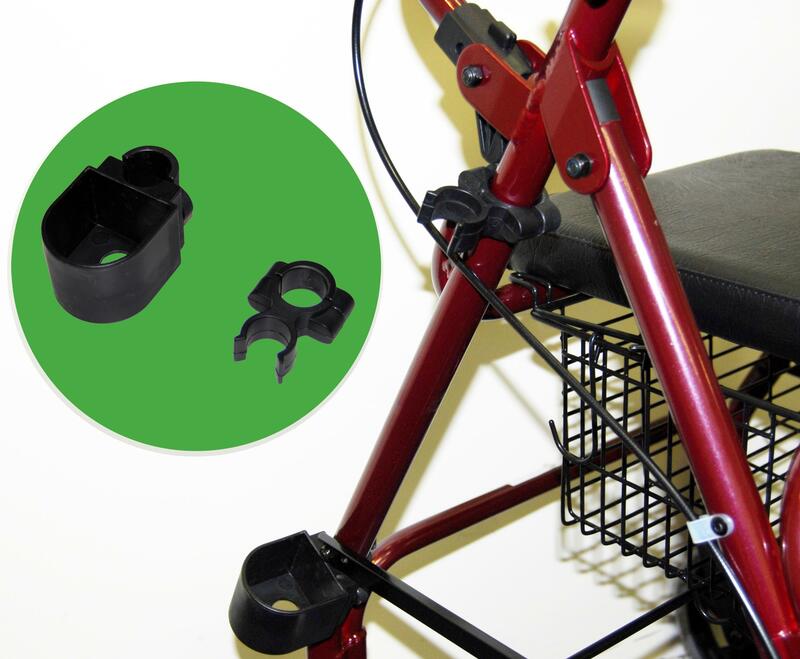 Place the clip halfway up the rollator shaft close to the seat and screw into place.